Sunrise via HDR on Lake Michigan North of Chicago 1-12-14. This was after a brief rain the night before which certainly reshaped the ice formations. It was 35°F on the 12th of January which made shooting a little easier based on it not actually being freezing. 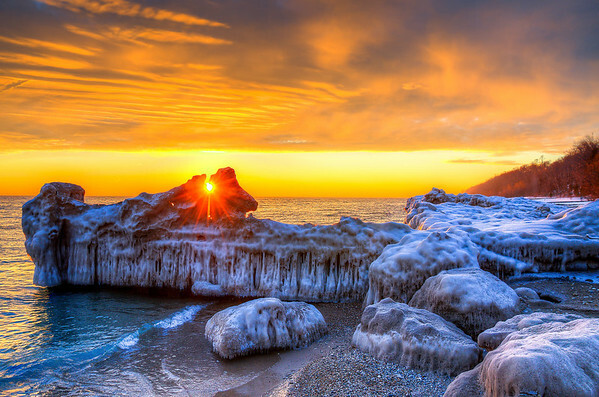 Lake Michigan is a great place and from north of Chicago you can always catch a great sunrise.